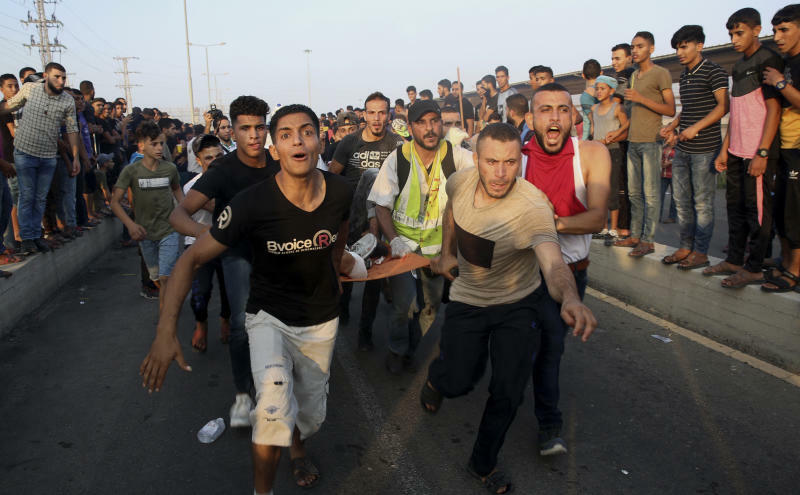 GAZA CITY, Gaza Strip (AP) — Several Palestinians were wounded by Israeli fire on Tuesday as they protested near Gaza's main personnel crossing with Israel, the Health Ministry in Gaza said. 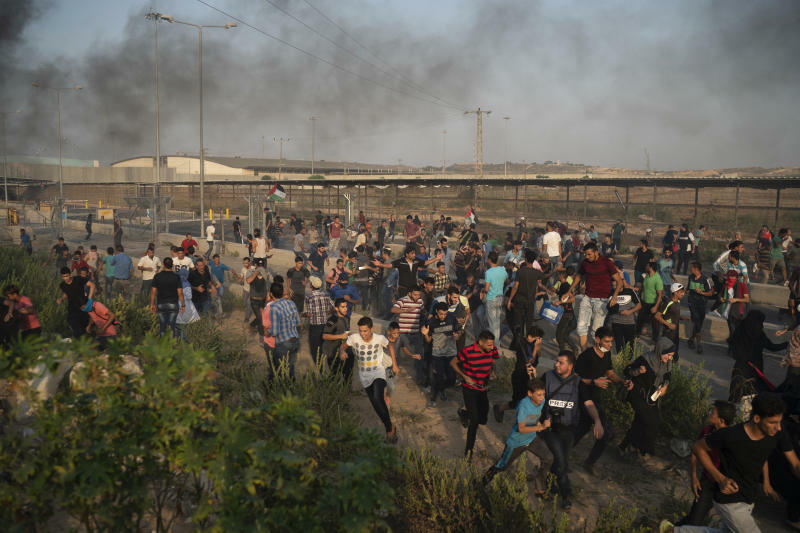 Israel's military said Palestinians hurled rocks at the crossing and damaged infrastructure, prompting troops to respond with tear gas and live fire. Such protests are rare at Erez, the only terminal for travel into Israel or the West Bank from Gaza. 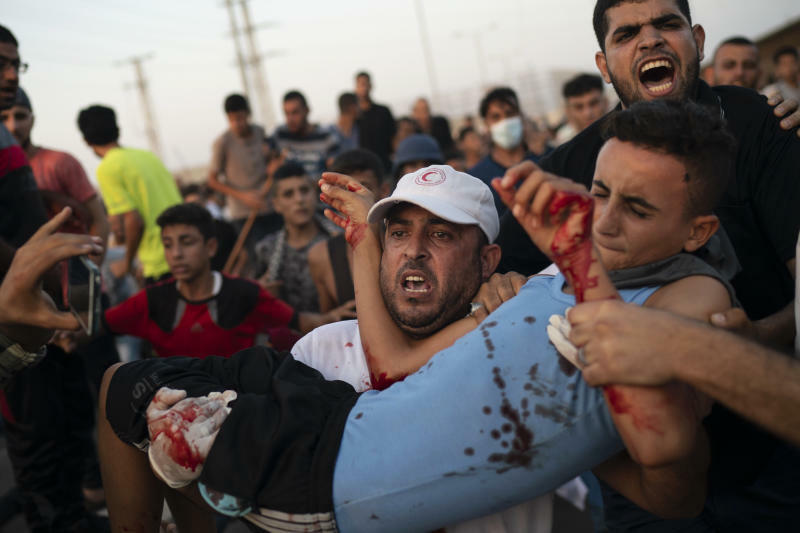 The Islamic militant group Hamas, which rules Gaza, has led border protests since March aimed in part at drawing attention to the Israeli-Egyptian blockade imposed after it took control of the territory in 2007. Since then, at least 125 protesters have been killed by Israeli fire. An Israeli soldier was killed by a Gaza sniper in the same period.